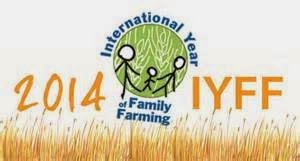 Kimmi's Dairyland: 2014 is the year of family farming! How many dairy farms are family owned? 2014 is the year of family farming! 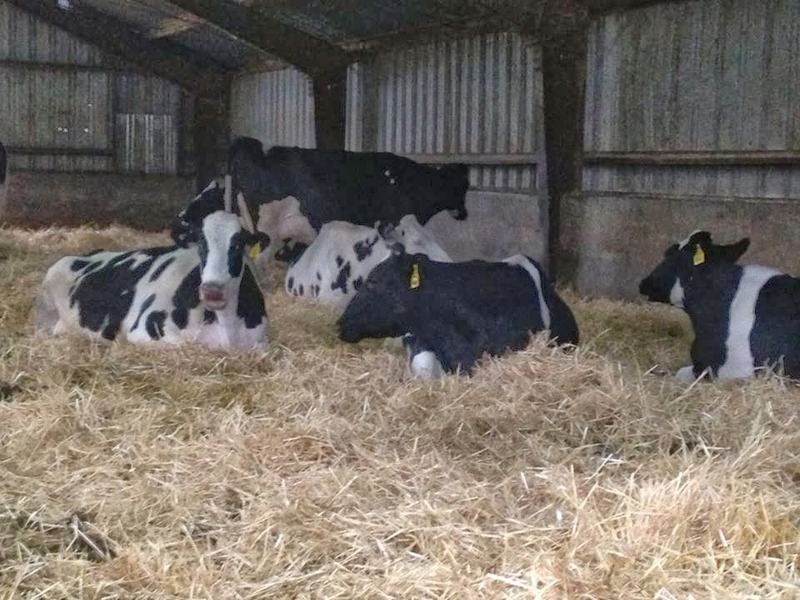 How many dairy farms are family owned? Did you know 2014 is the year of Family Farming? Neither did I until I read an article in the Washington State Dairy Federation newsletter that my mom sent me last week. According to the Food and Agriculture Organization of the United Nations (FAO), this "year of" aims to increase awareness of family farming by focusing worldwide attention on its significant role in eradicating hunger, providing food security and nutrition, improving environmental sustainability and livelihoods and more. Farmers work hard every day--regardless of heat waves or blizzards--to care for their animals and crops, which, in turn, provide wholesome nutrition for you and your family. I travel a lot on airplanes and when I do, I usually end up talking to the people around me about dairy farming. One common question is about family farms and the "other" "corporate farms"/"factory farms"/(insert negative connotation here). Of the nearly 50,000 dairy farms in the United States, approximately 97 percent are family owned. Those family farms come in all shapes and sizes. Some milk 10 cows and some 10,000, but they are family farms. Often times, the larger farms involve a lot of family members and sometimes a few families. This is no different than a family-owned shop that expands to allow other family members to join the business, or that hires some non-family employees to help. Add cows, tractors and a few others things, and it's no different on dairies. If 97 percent of dairy farms in the United States are family owned, what about the other 3 percent? I've always been curious about this myself. I work with many dairies as part of my job and one is not family owned. It is a correctional facility that has a dairy farm. I'd never heard of this until I moved to the Carolinas, but apparently this is common. Another example of a non-family-owned dairy is a university dairy, which is a research and teaching farm. Most land grant universities with dairy programs have a dairy farm. The farm may be named after a particular person, but usually it is not considered a family-owned farm. Even on these farms that are not considered to be "family farms", employees still practice the same dedication and care for animals as on family farms. There is no tolerance for poor treatment of animals in the dairy industry, or any other agriculture industry for that matter. I usually avoid using the term "factory farm" because I don't like it. I don't like the image it puts into the minds of a lot of people who just don't know a lot about farming. I once asked someone what they thought a factory farm was and they said it was a farm that had more than a few cows and non-family members and where people viewed cows as "milk machines" rather than animals on which their livelihoods depended. Hmmm. Interesting. This couldn't be further from the truth and this is EXACTLY why I avoid this term. Family farms can be large or small and either include just family or also some employees. It's no different than other types of non-farming family businesses when it comes to why they hire employees. Regardless of size, cows are well cared for. They have to be otherwise they won't produce milk. Why would anyone try to sabotage the very creature that is the backbone of their family business? They wouldn't. Dairy farmers care for their cows because they love them and they love what they do and it's also the right thing to do. As you sit down to dinner tonight (or breakfast or lunch tomorrow), take a moment to thank all of the farmers that worked hard to bring that food to your table. Farming is not an easy job. It's a lot of hours, no vacations, no snow/blizzard days, but at the end of the day, it is a wonderful lifestyle and job. Don't wait until there's a blizzard (although some parts of the country are experiencing this in the coming days) to stock up on milk. At just 25 cents per glass, milk provides excellent nutrition with nine essential nutrients including calcium, potassium and protein that adults and kids alike need every day. Why not keep an extra gallon on hand?